We've had a few questions raised about the weight of Sandast bags, due to the fact that they tend to weigh 1-2 lbs. more than those leather goods that are made in Europe. We'll use this as an opportunity to shed some light (but not weight) on why Sandast bags tend to be a little bit heavier. Since 2014, we have been using our current thickness for all our products. It is the thickness that had been carefully chosen after numerous experiments with different weight, strength, pliability & thickness. 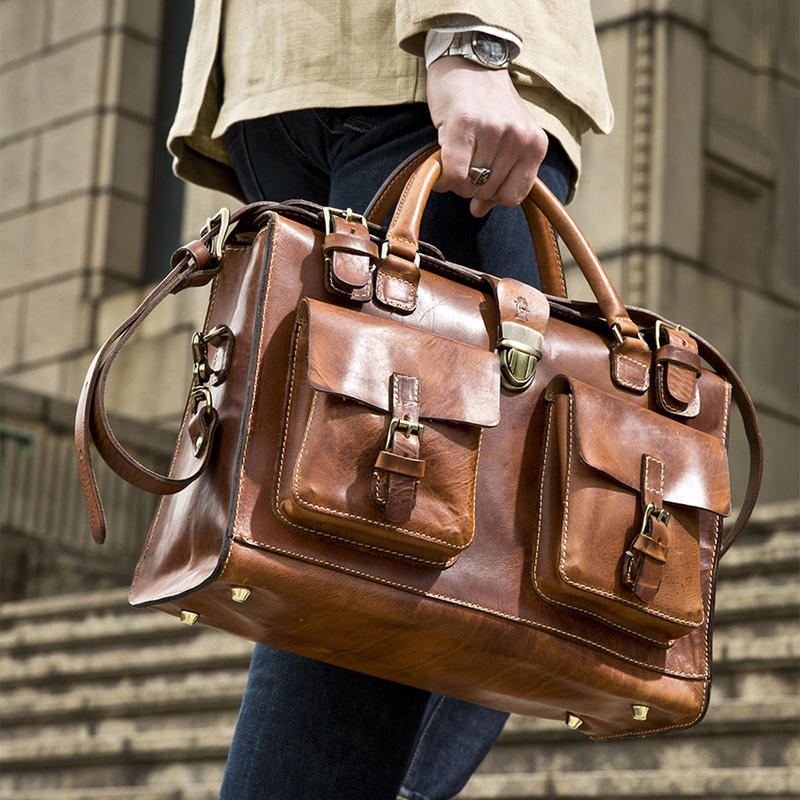 We came to a conclusion that our current thickness is the most ideal, allowing us to best showcase our leather distressing techniques "Sandasting" as well as ensure the longevity of Sandast bags. The goal was for our goods to be thick enough for reliable strength, yet thin enough to maintain practical weight. It comes as no surprise that few consumers are able to distinguish between Genuine or Synthetic leather as synthetics have come along way in replicating the look and feel of Genuine Leather. Of course, there are still many designers in Europe who use Genuine Leather yet still their products feel lighter than Sandast; Well that is simply because they are using thinner leathers. Our Philosophy is different from the others. It is our philosophy that quality is of the utmost importance and timeless styling is the canvas of that quality. We don't operate on F/W '17 or S/S '18, fashion seasons are irrelevant; we're only interested in creating products that will last you a literal lifetime and will continue to look great in any decade. And most importantly.... Why Genuine Leather? Because Nothing ages like the Genuine Leather.